This project is on a private driveway located in Preston (Melbourne). 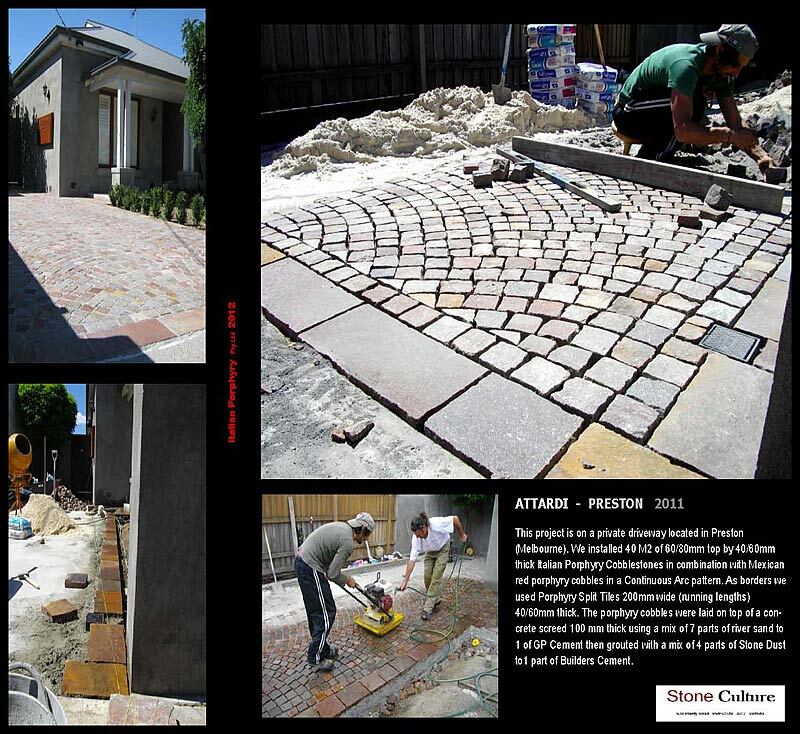 Stone Culture installed 40 M2 of 60/80mm top by 40/60mm thick Italian Porphyry Cobblestones in combination with Mexican red porphyry cobbles in a Continuous Arc pattern. Porphyry Split Tiles 200mm wide (running lengths) 40/60mm thick were used as borders. The porphyry cobbles were laid on top of a concrete screed 100 mm thick using a mix of 7 parts of river sand to 1 of GP Cement then grouted with a mix of 4 parts of Stone Dust to1 part of Builders Cement.